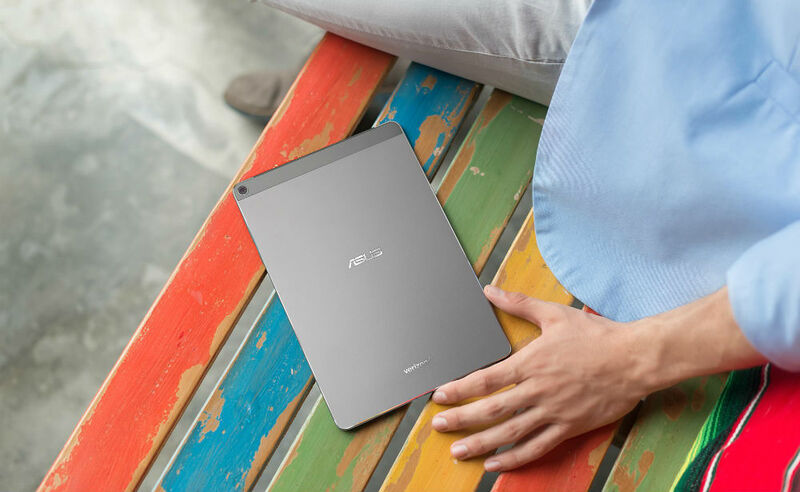 A new ASUS tablet is available exclusively at Verizon starting today, the ZenPad Z10. Featuring an extremely thin body (0.28″), coupled with a large 9.7-inch “2K” display (2048 x 1536), the ZenPad Z10 is a nice looking tablet. 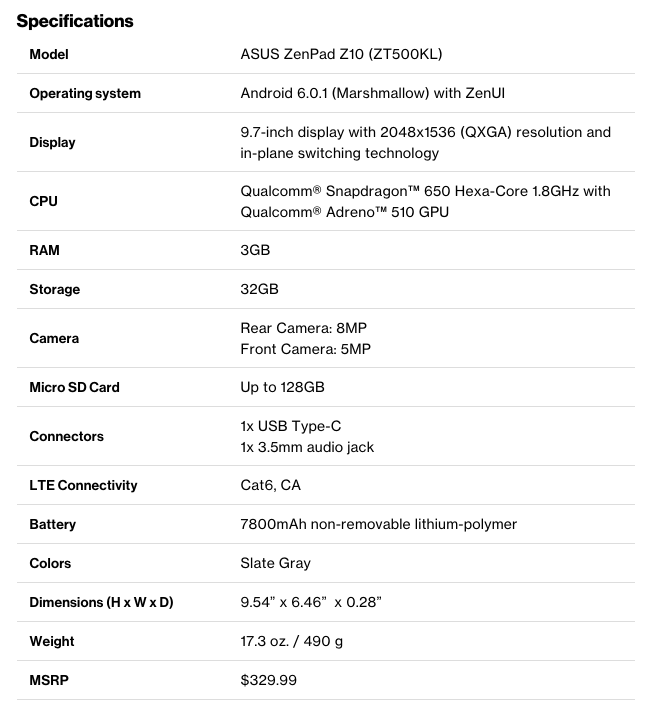 The tablet is listed at a full price of $329.99, but is actually $13.74 per month for 24 months via a Verizon device payment plan. There will also be a monthly fee to have the device hook up to Verizon’s network, but that’s standard. The device is available online starting right now, if you are interested.